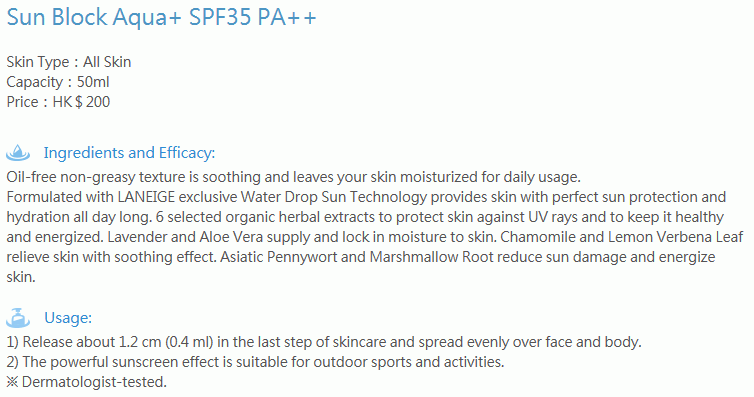 This Korean skincare is a sunscreen that has SPF50 to effectively protect your skin against sun damage. It contains moisturizing ingredients that keep skin soft and smooth and at its optimum health. Consists of Mineral Water that hydrates the skin and prevents that sticky and uncomfortable feeling. Cools down the skin when applied to provide a refreshing feeling. Get an appropriate amount and spread it on the entire face. Apply it on other areas that will be exposed to the sun. Description: This Korean skincare is a sports sun lotion made for men that has SPF50 to protect y.. Description: This Korean skincare is a sunblock that has SPF50 to protect your skin against the d..